I haven't been a huge fall person in the past. Don't get me wrong--- I love, love, love fall weather--- it's my fave. It's just that I'm not a pumpkin-flavor junkie. But this year, I found myself waiting eagerly in anticipation for fall! Maybe I didn't care for fall in the past because I only had ONE fall decoration in my collection. ONE. It was an ugly wooden pumpkin with raffia around the stem. Nothing to get excited about at all. Too bad apples don't quite fit in with my low carb diet. 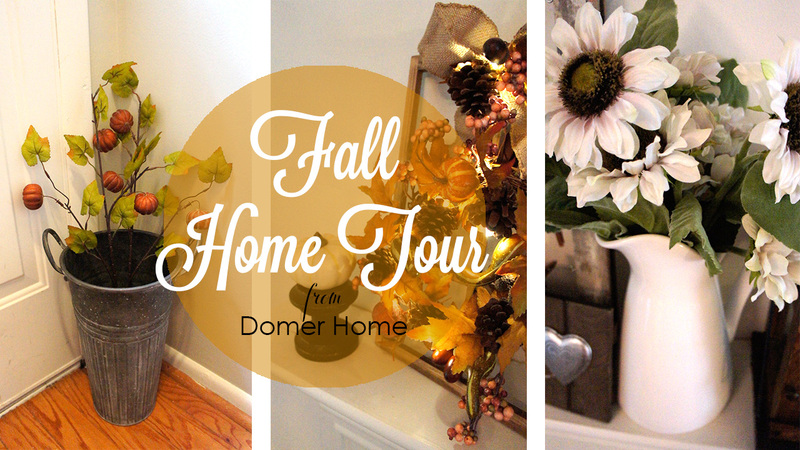 I hope you enjoy this mini fall tour of our house! Please pardon the mess; I started painting our first floor before school started, and due to some drywall issues, was unable to finish. It's currently waiting patiently for me to finish. Sigh.